Here at Zeta Beta, our sisterhood is truly a one-of-a-kind type of bond. Whether we're hanging out on the couches with popcorn to watch the Bachelor or getting decked-out in U of A gear to cheer on our Wildcats, we can always count on our sisters to be by our sides. Friendly, cheerful faces can be found around our home, endearingly nicknamed "The Chee," because we have the best places for eating, studying, and simply hanging out with our friends between classes. Do you want your calendar to be filled with tons of fun social events? Well you have definitely come to the right place! From date dashes to exchanges and philanthropy events to spontaneous adventures, we Chi Omegas love to keep the excitement alive and take great pride in our carefully balanced academic and social schedules! Above all else, we treat Chi Omega like a family and support our sisters everyday. Together, we are making memories that we will laugh about and cherish for years to come! Here is just a short video showing what its like to be apart of the Chi Omega Sisterhood. Our members share what Chi Omega means to them! “Why I love chi o” is such a loaded question, and honestly is somewhat difficult to answer. There are so many aspects of this organization that have enhanced my life in ways I never would have thought. It gave me the family away from home that I desperately needed; the people that are there for me at my worst, at my best, and everything in between. It gave me the confidence and tools to succeed as a strong women and student at the UA. It gave me the support system that believes in me when I don’t, pushes me when I need it, and loves me unconditionally. I truly would not be where I am today without chi omega, and I am thankful every second of the day for this place. That is why I love chi o <3"
"When I think of my time so far in Chi Omega, there is one word that stands out to me: thankful. It is so weird to think what my life would be like had I not gone through recruitment and found my home in Chi O. I am thankful for the sisters and amazing friendships that I have made. These are my people! Thankful to be constantly surrounded by women who encourage me, support me, build me up, and make me want to be a better person. Thankful for our connection with Make A Wish. I would have never had the opportunity to meet my wish kids if it weren’t for Chi O! Thankful for a home while I’m away at college where I feel safe, welcome and can always be myself. Chi Omega is a special place and I’m lucky I still have 2 more years here! Just a really super duper thankful gal!! :)"
"I love Chi Omega because it is my home away from home. I know that if I ever have an issue, want to laugh until I cry or just hangout and do nothing, there will always be somebody there. Growing up, I didn't have any sisters, so being ale to have that sisterly bond with my friends and having a big and little is everything I could have wanted and more." "Chi Omega has given me more than I could have imagined! It has become my home away from home as well as a support system that is always there for me. The ladies in Chi O are now my lifelong best friends and inspire me to be a better woman every day. I believe that there is a special authenticity in Chi Omega and I wouldn't change my experience with this sorority for the world!" "I love Chi O because of the friends and support system I have gained from it. 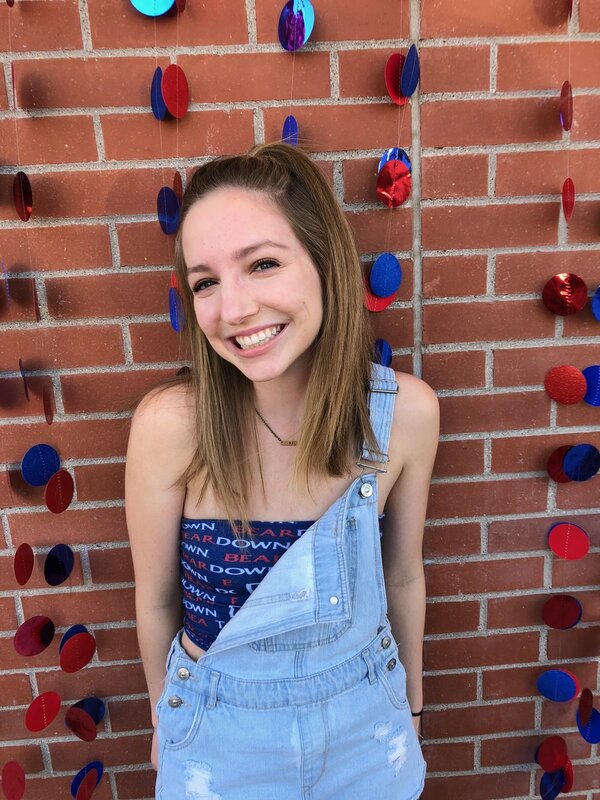 I moved to Arizona from across the country and finding Chi O helped me transition into college. I have made the best friends who I know will be my friends for years to come." "My name is Sophia Rankin and I am a Music Major here at UA. I love Chi Omega for an innumerable amount of reasons, but it has brought me the best friends and sisters I could ever have asked for. I have made friendships with girls who constantly support me and for whom I would gladly be there for in a heartbeat. I have never met a more inspiring, driven, loyal, and lovable group of girls in my life. My sisters inspire me to strive for my absolute best because I constantly see them achieving theirs. I couldn't be prouder to be a Chi Omega and represent all we value in sisterhood and life."